Do you sometimes feel like you have a heavy workload or too much responsibility? Are you currently facing a life challenge that is affecting your emotional health? A narrowboat trip to an unknown village could be the easy solution you are looking for. Stress is actually a normal part of life and at times, it serves a useful purpose. Stress can motivate you to get that promotion at work, or take action to change an uncomfortable situation. But if you don’t give yourself a break sometimes, it can begin to affect your work, relationships and health. Exercise, spending time in nature, and practising mindfulness are all effective ways of managing stress. Read on to learn five ways that a canal boat trip to an English village can soothe your soul. Mindfulness is simply practicing living life in the present moment, and it can be extremely useful for stopping stress and anxiety in its tracks. The idea is to focus your attention completely on the task at hand, and narrowboating offers the perfect opportunity to do this. Whether you are the steerer, operating the locks, or reading the waterways map, being part of a narrowboat crew gives you something practical to focus on, instead of the negative chatter in your mind. A trip to the unspoilt village of Wadenhoe from our hire boat base will take around three days, by boat. This village with attractive stone buildings and a rich history dates back to Saxon times. To get there by canal boat, just take it easy and “go with the flow”, along the Old River Nene, through the Middle Levels and onto the River Nene. Like any other cardiovascular exercise, brisk walking boosts endorphins, which can reduce stress hormones, alleviate mild depression, improve mood and increase self-esteem. So, once you are moored up in the village you can take a stress-busting walk! The Nene Way long distance footpath passes through Wadenhoe and the circular walk between the villages of Wadenhoe and Aldwincle take in many sites of interest. The countryside around Wadenhoe is regarded as among the most picturesque in the East Midlands and is perfect for ramblers. Narrowboat blogger Sue from nb No Problem loves cruising the East Anglian rivers and the Nene is her favourite river. She advises taking it slow on the journey so that you can enjoy the beautiful lock surroundings with ancient mills. She recommends stopping in Wadenhoe Village because of the stone cottages, thatched rooves, the post office, the Kings Head, the church and Wadenhoe House; a Jacobean 17C manor house. Doesn’t that sound like a place you could chill out? This 17th century thatched inn has been serving food and drink for over 400 years. In the summertime the grassy riverside paddock is a picturesque hive of activity, where drinkers can sit in the shade of the willow trees and watch the colourful narrowboats passing through the lock. This is a dog-friendly pub and their website has a few great suggestions of river and woodland walks. They welcome overnight moorings but charge a fee of £10 if you do not use the pub. Let them know if you are planning to stay overnight. The tea rooms use fresh produce, locally sourced where possible, to create quality, healthy dishes. Visit for lunch or afternoon tea or buy food to takeaway. You can even book a Mad Hatters Tea Party with Alice in Wonderland waitresses! There are two good moorings in Wadenhoe, one near the church and the woodland, the other at the pub. You can also take a bus to Peterborough from here, which gives you a day out in the city to visit the shops and cathedral. 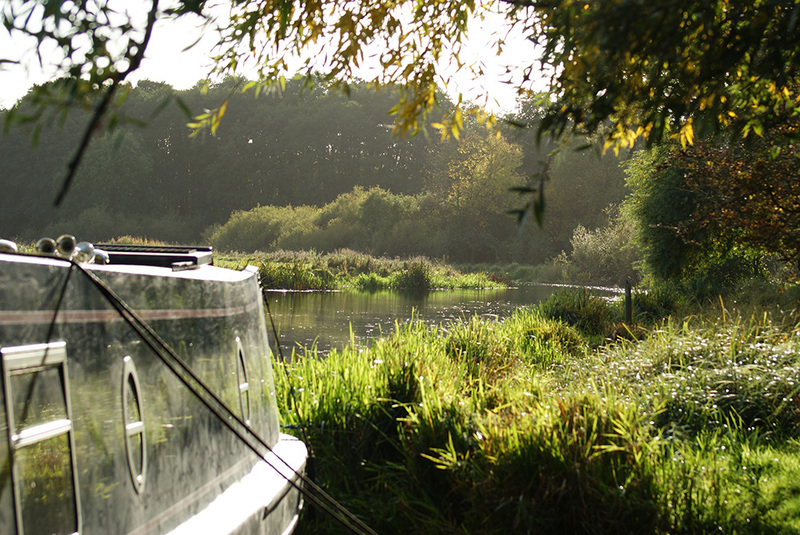 For a stress-relieving trip to Wadenhoe you’ll need to book a week long boating holiday with Fox Narrowboats. Check availability here and watch your stress just melt away! ‹ Old River Port St Ives!